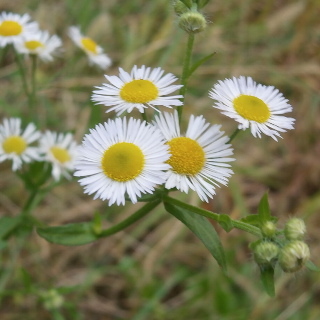 Annual fleabane flower blooms June to October. The flower 2 - 3cm and white with yellow center. It is called Himejo-on in Japanese. You can see by roadside. 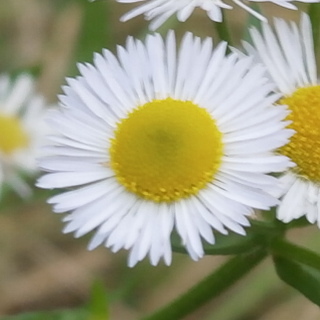 Annual fleabane and Philadelphia fleabane are closely looks a like. 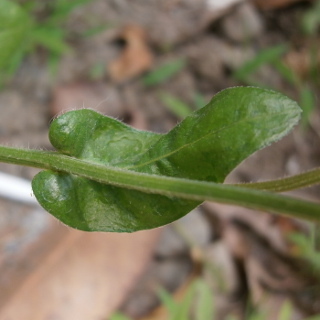 Annual fleabane leaf has dentate margin. 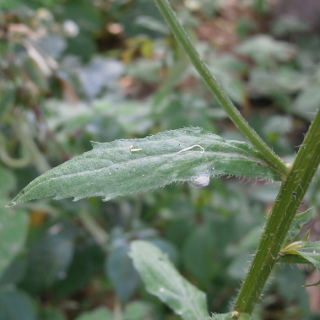 Philadelphia fleabane leaf has no dentate margin and wrap stem. 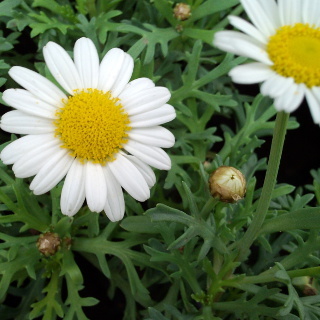 Annual fleabane looks a like Marguerite. The petal is thin. Philadelphia fleabane petal more thin looks a like thread. 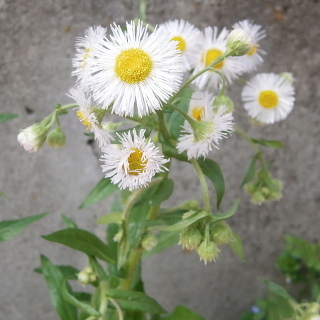 Philadelphia fleabane blooms in april to june. 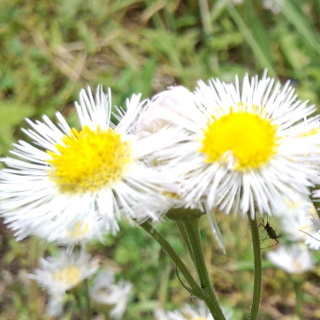 Annual fleabane blooms in june to october. In june, both flower blooms.